"Reeva's story is a testament to never, ever give up on an animal." 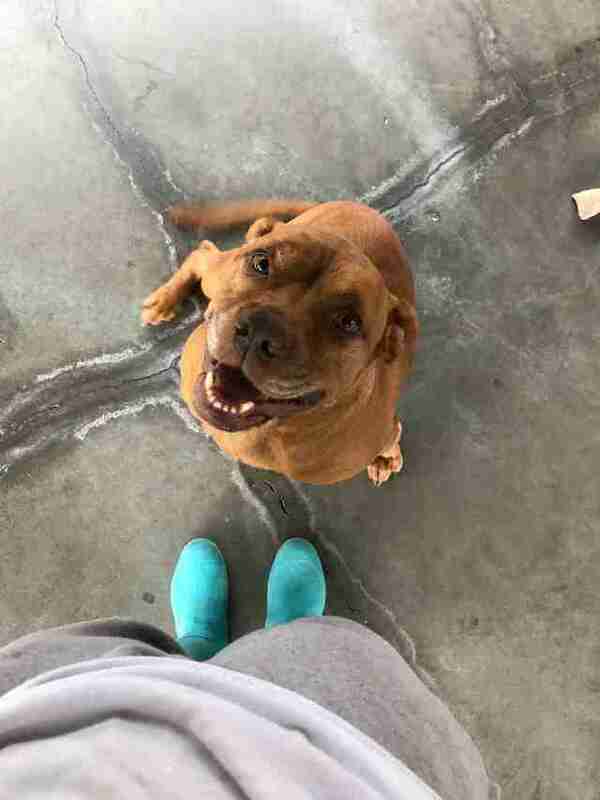 When Reeva sees one of her favorite people, her cute wrinkly face breaks into this particularly adorable squinty expression. 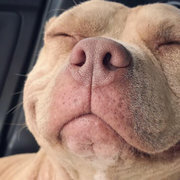 "She will squint so much that she starts smiling," Nikki Wareham, a veterinary technician at the Hilton Head Humane Association in South Carolina, tells The Dodo. 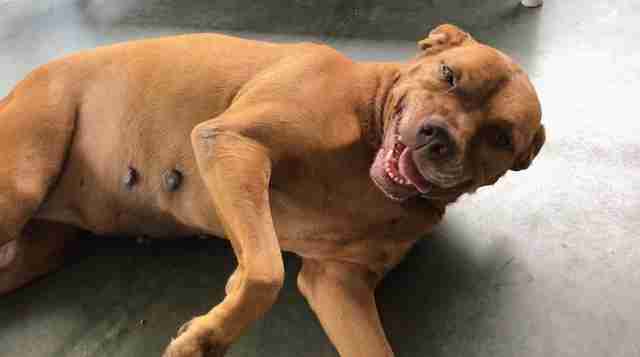 "I love how she smiles," Sassa Enscoe, the shelter's administration coordinator, gushes. Reeva has a lot of fans at the shelter. That's because she’s such a charming, wonderful dog — and because she's been there for so, so long: 950 days, to be exact. Reeva was quite young when she first arrived, on January 5, 2015, when the Hilton Head Humane Association got her out of the local county shelter. She was a sweet girl, and a medical mess with very little hair and bad skin. She also needed surgery on a bum knee. 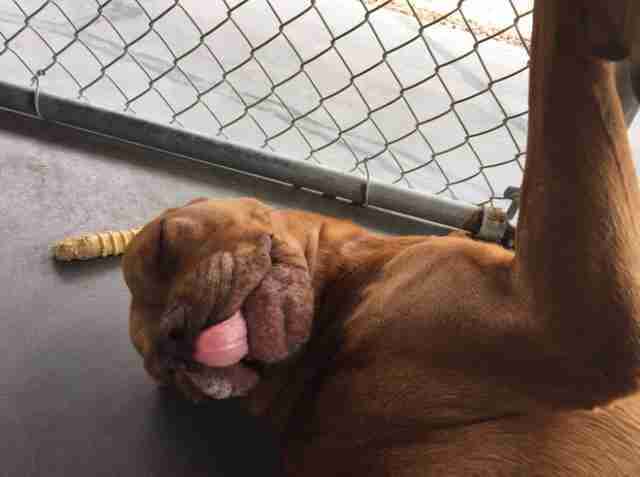 With those issues taken care of, Reeva got adopted — but she was returned after only 10 days. She hadn't done anything wrong; it's just that at the time she required a costly specialty diet, which her adopters quickly realized they couldn't afford. Reeva's been back at the shelter ever since. Her life there is overall very good. She's walked a lot, and she gets training classes, toys and treats (like homemade pupsicles) that she devours with glee. "She's spoiled rotten," Wareham says. "She's loved." And Reeva should be an easy one to send home. 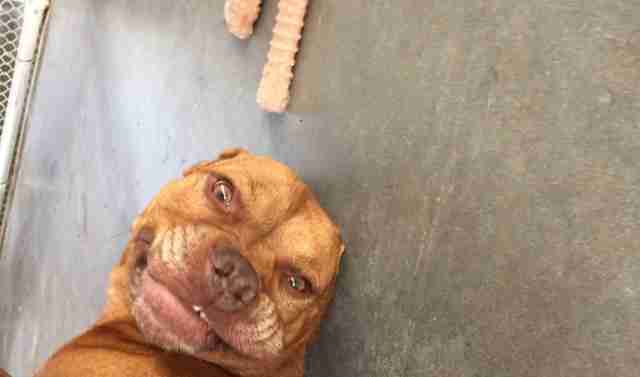 She's mellow, walks well on a leash, adores belly rubs and gives kisses like they are going out of style. On top of being exceptionally good-natured, Reeva gets along great with kids and cats. She's mostly great with other dogs, too. She doesn't require that expensive prescription food now, either — just a daily pill. The heartbreaking thing, as Enscoe and Wareham see it, is that what likely stood in the way of Reeva getting adopted for so long is that she got too comfortable at the shelter. 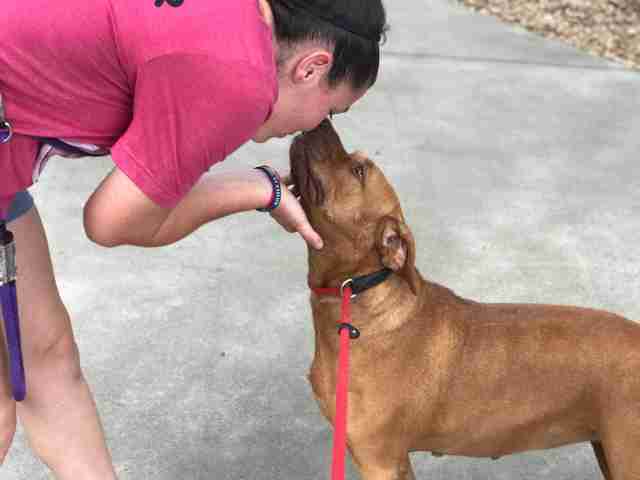 When potential adopters come through, she wouldn't jump up to meet them like some other dogs do. She just lay on her bed and watched. Wareham imagines Reeva was thinking, "'They're not here for me,’" she says. "I think she's become so used to it here." "She has a big family here," Enscoe adds. What Reeva’s shelter family wanted most was for her to have a real family of her own. They tirelessly advocated for Reeva, hoping that someone wonderful would see Reeva's videos, hear about how perfect she is and come on over to get her. "I know that she is meant to be in a home," Wareham says. "She is just the sweetest thing in the world." On Tuesday, that's just what happened. On her 950th day in the shelter, Reeva got adopted, by a family who'd fallen in love with her after seeing her videos online and were even more smitten in person. It's a "perfect adoption," Enscoe says. "Reeva's story is a testament to never, ever give up on an animal." Everyone at the shelter is thrilled for Reeva, but many still shed some tears. There was no sadness from Reeva, though. She gave her trademark smile the second she met her new family and she kept on grinning as they filled out the adoption paperwork and walked her to the car to go home. "She smiled the whole time," Enscoe says. "She was smiling more than ever." The Hilton Head Humane Association has lots more wonderful and photogenic pets who need homes, even now that Reeva's gone home.